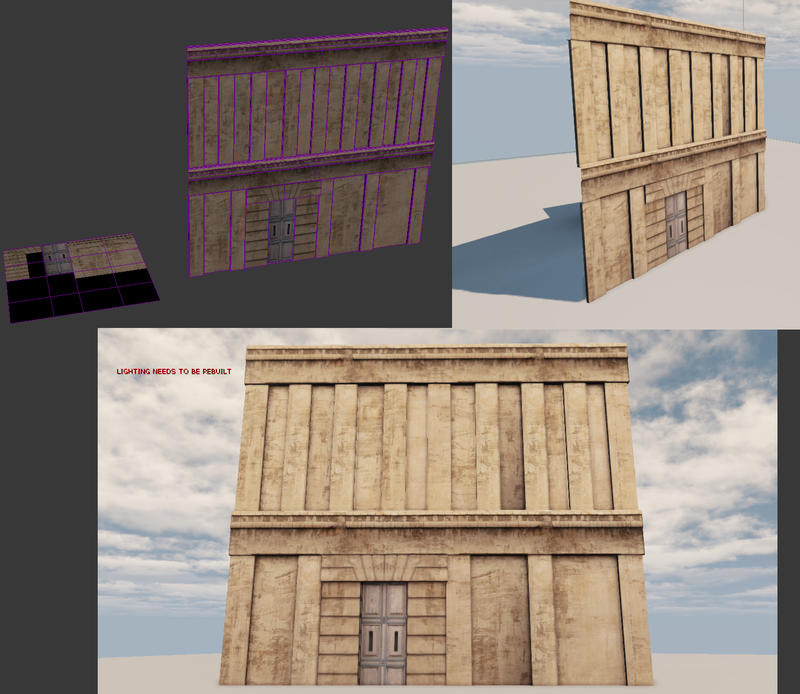 Today I have been playing around in max and udk. I started off with a plane with a wall texture and sketched upp a wall by extruding etc. I will start a bigger project later on, building a whole town, so I was trying this method.